time has little relevance in the creation of a shigeru piano. there is no rush to completion. no pressure to perform, no demanding deadlines. the ability to select the right wood, the kind that can speak fluently in every dialect of emotion from fiery fervour to gentle whispers of tone, is an art in itself. 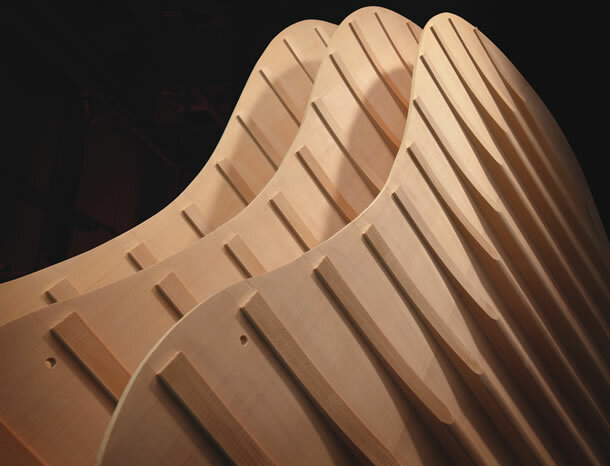 Whether it is select spruce for the soundboard, premium mahogany for the hammers, or choice maple for the bridge, the material chosen for every distinct part of a world-class piano must be perfect for the task. Shigeru craftsmen have spent decades refining this uncommon ability to discern between the satisfactory and the sublime. It is this venerable wisdom, this intuition, that one can hear and feel in every note of a Shigeru piano. true artistry can never stop striving. by its own nature, it must continually advance and evolve. that has always been its path to greatness. 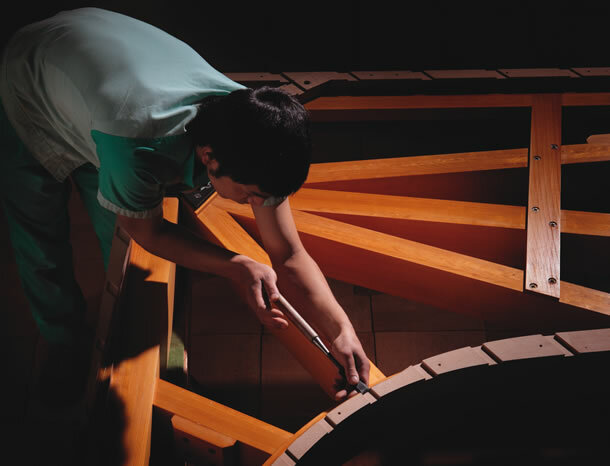 While our time-honoured methods of origin are diligently and reverently applied, Shigeru artisans embrace every modern method for perfecting the art of the piano. 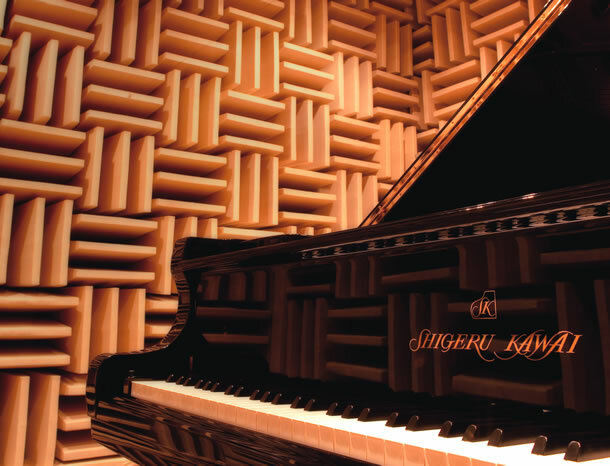 Our anechoic chamber enables the comprehensive analysis of pure tone. Advanced materials enhance stability and consistency of touch. Digital design tools optimise the construction and performance of every component part.